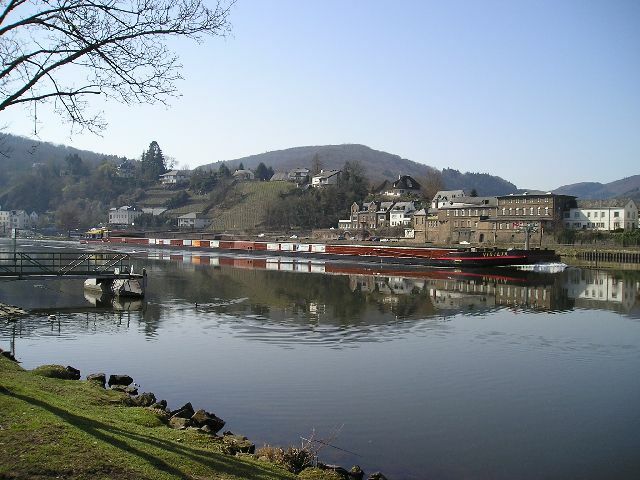 Since 1964, large-vessel shipping has been allowed on the Moselle between Koblenz and Thionville for ships with a tonnage of up to 1500 tonnes of cargo. 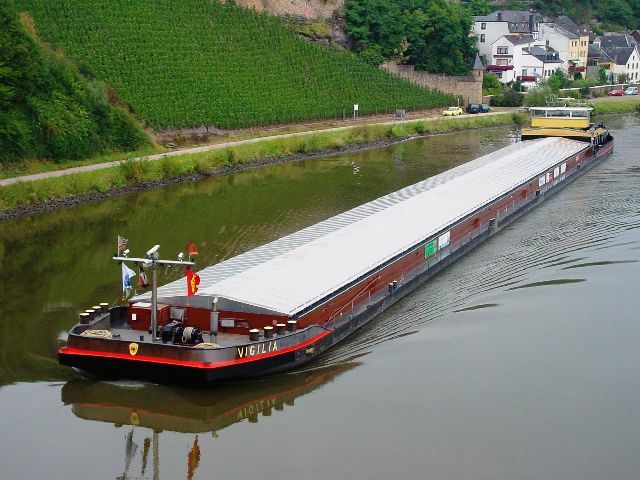 Nowadays, it is mainly large and modern cargo ships with a length of up to 135 metres (443 feet) and pushed barge trains of up to 172 metres (564 feet) in length that navigate the Moselle. 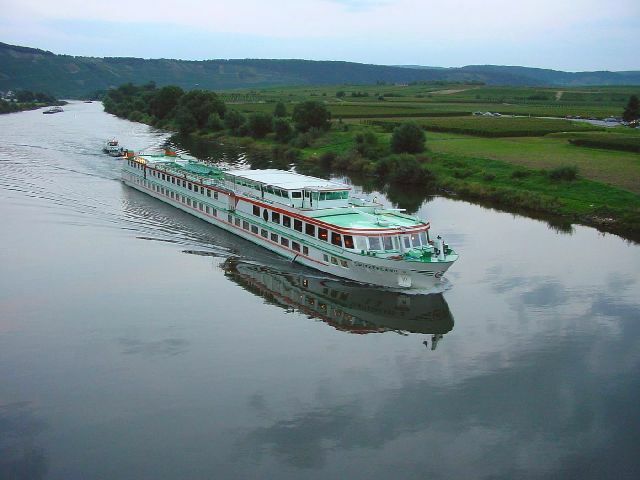 The Moselle is also navigated by passenger ships with a length of between 25 and 60 metres (82 to 196 feet) and passenger cabin ships of up to 135 metres (443 feet) in length. The river is also regularly used by container ships, coastal trading vessels as well as by recreational and pleasure craft. The volume of goods going through Koblenz lock in 2017 was 10.8 million tonnes; the volume for Apach lock was 4.9 million tonnes and for Grevenmacher lock it was 5.3 million tonnes. The number of passenger ships passing through Koblenz lock in 2017 totalled 1,372. A total of 3,846 passenger ships passed through Zeltingen and 2,839 through Fankel.